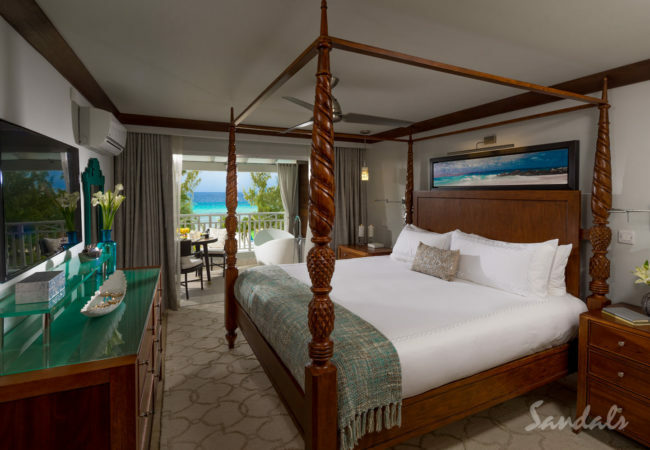 Welcome to the Sandals Barbados, at St. Lawrence Barbados! 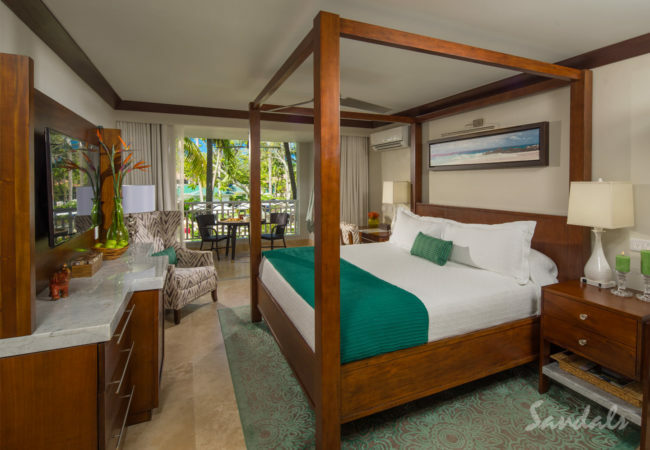 Unwind to the relaxed calypso beat, enjoy the sun & surf and explore the sexiness of your suite, an abode designed with your utmost comfort in mind and featuring everything from ocean views, Butler Elite service and zero-entry access to Barbados‘ largest and longest lagoon pool, to private tranquility soaking tubs on most patios and terraces. 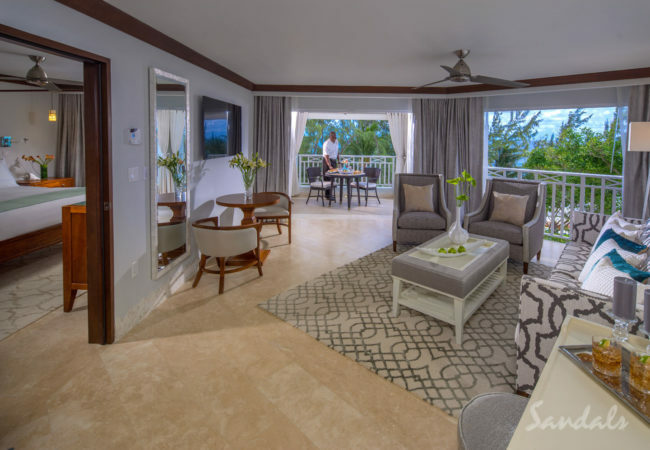 Located on the first and second floors for the Caribbean Village, these quaint rooms feature elegant furnishings, a four-poster, king-size bed, HD smart TV, and a private patio or balcony showcasing serene views of the resort’s beautifully landscaped gardens.